Edric tries to predict what cars are set to be future classics in Singapore. AMIDST idle WhatsApp chatter among the Torque team one weekday afternoon, the question was posed – what car, cost no object, would you buy if the clock was turned back to 1985? If you must know why 1985 – it had to do with DeLoreans, flux capacitors and Michael J Fox. Anyway, I didn’t have to think – my answer, instantly, was the Peugeot 205 GTI. To my eyes still the prettiest hot-hatch ever and, from a brief drive I had over 20 years ago, a ball of frisky fun. The choices tossed out by the others were equally delectable – Sierra Cosworth RS500, Audi Quattro, Lamborghini Countach, Alfasud, Toyota AE86, Mercedes 560SEL, E30 BMW M3. And the most left-field choice of all, a Renault 5 Turbo – which, for the benefit of readers not of a certain age, was a wacky mid- engine, box-arched mutation of the original Renault 5 supermini. All of which got me thinking – which of today’s cars would we petrolheads, 30-odd years down the road, wish that we had bought and kept? In all likelihood, nothing whose USP is its class-leading power output or cutting-edge tech. Because you can bet that the headline horsepower figure will soon be eclipsed by the next Greatest Thing, and the fancy technology will be old-hat in five years’ time, let alone 30. The future classic needs to be breathtakingly beautiful, or seminal in some way, or conversely, the last of its ilk. Or perhaps an under-appreciated gem which only achieves posthumous recognition long after production has ceased and it’s too late to bag one. The incredibly involving, no-compromises Porsche 911 GT3 RS is certainly a candidate. 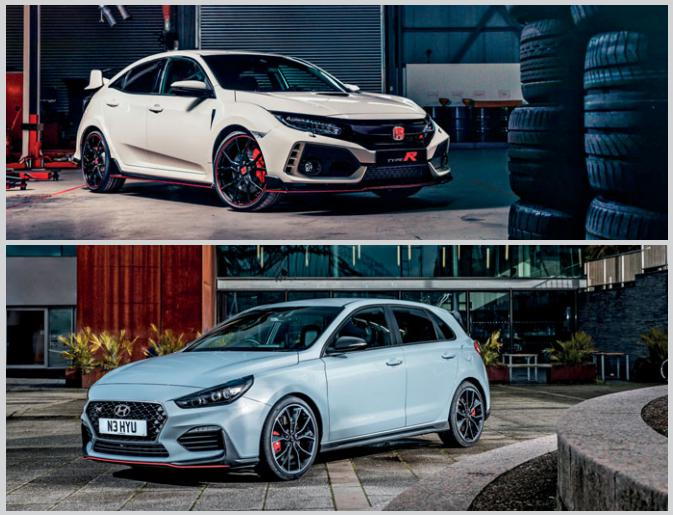 Honda Civic Type R (top) and Hyundai i30 N are the hot hatches closest to the columnist’s heart right now. The next generation of 911 will be hybridised, and spy shots suggest a longer, wider car, continuing the footprint expansion exhibited by almost every successive 911 generation. If this trend continues, the 2050-vintage 911 will occupy as much road space as an Aventador and will no longer be the handily-sized, analogue sports car we know and love. As possibly the last of the purely combustion-driven, naturally aspirated 911s, the 991.2 RS is destined to be an all-time great. 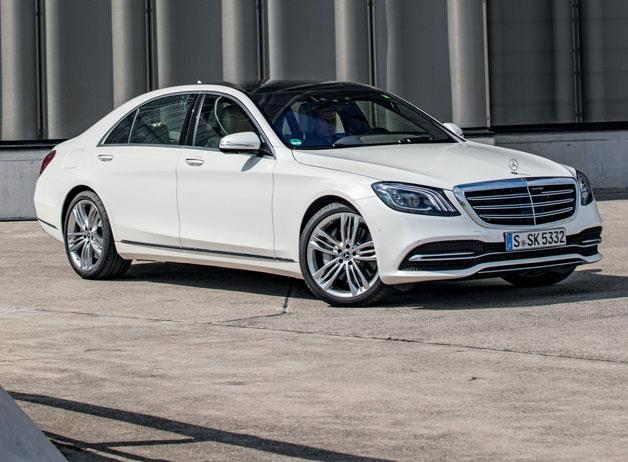 The current Mercedes-Benz S-Class is another. Yes, like every one of its limo rivals it’s tech-laden, but that’s not the point of the car. Rather, it stands so clearly above the competition with its imperiously elegant styling, beautifully appointed cabin and silent, effortlessly wafty ride that it will surely be retrospectively viewed as one of the epochal S-class Mercs, like the 1970s W116 and 1980s W126. And what of the breed of vehicle closest to my heart, the hot hatch? The current, FK8 Honda Civic Type R would have been a good bet with its stonking 310hp engine, increasingly rare manual-gearbox and brilliant chassis which has planted it at the very top of the front-drive Nurburgring timesheets. But can a car so festooned with fake vents and tacked-on plastic ever engender desire? I don’t know. In the same playing field, Hyundai’s i30 N is far easier on the eye. The Korean maker’s first-ever attempt at a hot hatch is, from all accounts so far, a huge hit, and I for one can’t wait to try it when it arrives later this year. If the i30 N is as good as they say, and especially if it proves to be the first of a new breed of brilliant performance-oriented Hyundais (just as the original 1976 Golf GTI was similarly groundbreaking for VW), its classic status is assured. NOW EDRIC JUST NEEDS TO WAIT 30 YEARS TO SEE IF HIS PREDICTIONS ARE CORRECT. THE FUTURE CLASSIC COULD BE AN UNDER- APPRECIATED GEM WHICH ONLY ACHIEVES POSTHUMOUS RECOGNITION LONG AFTER PRODUCTION HAS CEASED.